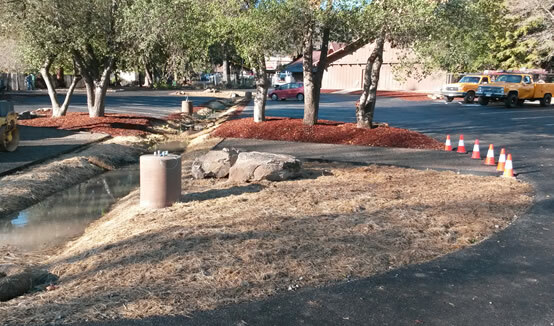 SHN performs stormwater pollution prevention sampling, monitoring, and management. SHN's Redding Regional Principal, Mark Chaney, presents a $5,000 check from SHN to the Shasta Regional Community Foundation's Chief Executive Officer, Kerry Caranci, for the Community Disaster Relief Fund for Carr Fire Recovery. SHN surveyors are bringing new technologies to traditional methods. Although the drought is over in much of California, our Mediterranean climate creates the need for stored water. 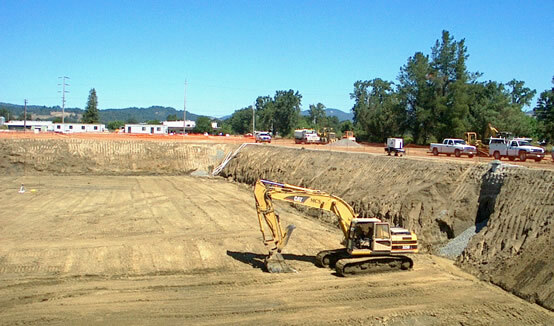 SHN assists clients in permitting and designing water storage. 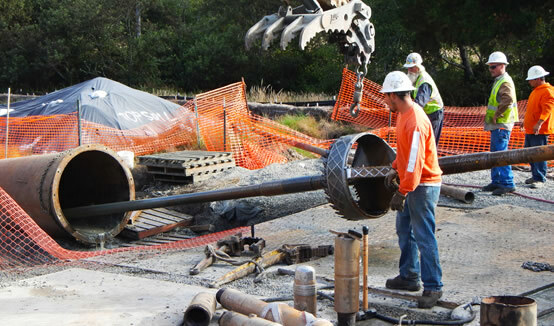 Using horizontal directional drilling, SHN installed an underwater power cable in Gig Harbor, Washington. New wastewater collection and interceptor pipes, and a new pump station, eliminated sewage overflows into aquatic habitats. SHN, the Redwood Community Action Agency, and the City of Arcata organized a walkability assessment. Work is great when this is your office. 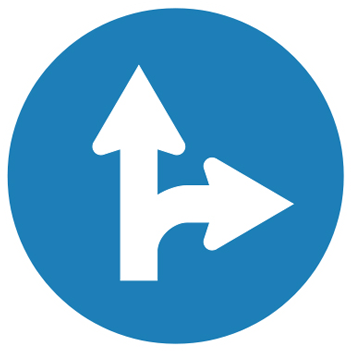 Looking for a change in the right direction? A career is an individual’s journey of learning and work, and whether SHN is a quick side-trip or a long and rewarding segment depends on the similarities of our future paths. SHN’s path is one that values enhancing our communities and creating a rewarding environment for employees and shareholders. 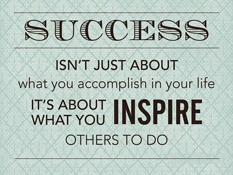 We value team work, life-long learning, and family, health and work balance. SHN’s redesign of the sewer system eliminated overflows to Martin Slough, saved the City and taxpayers $2.8 million in construction costs, and decreased future energy use by eliminating 13 pumping stations. 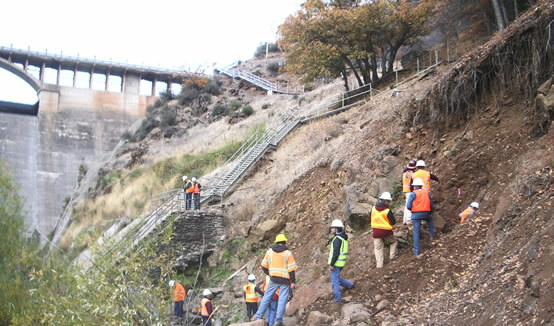 SHN geologists investigated a known fault system to determine potential seismic hazards to the dam. Trenchscan technology was used to record images that were later digitally merged to create a single image of the entire trenched area. 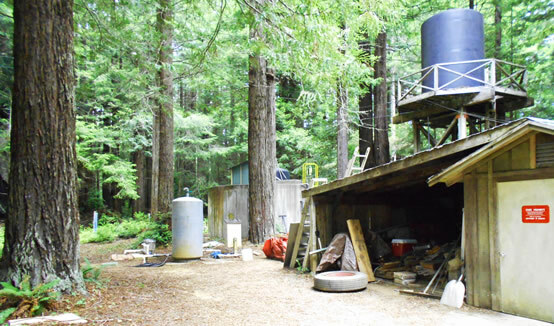 Beginning in 2012, SHN’s Biologist of Record managed a crew of 30 biologists that identified nesting locations of birds, prepared and implemented salmonid relocation and dewatering plans, conducted Northern Spotted Owl surveys, and prepared daily and quarterly reports documenting the interactions between construction activities and regulated biological resources. 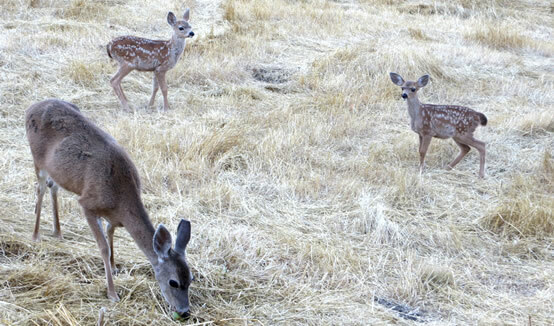 Since 1995, SHN has performed environmental site investigation, hydrology studies, surveys, permitting, remediation design, and infrastructure evaluation and repair designs at 46 sites for CAL FIRE, the California state agency for real estate services (DGS-RESD), and the Division of the State Architect. With Ann Baker Landscape Architecture, SHN assisted in the design of the Museum’s new outdoor nature education facility, incorporating stormwater wetlands and bioretention areas, and encouraging groundwater recharge with infiltration trenches and permeable pavements. SHN’s field and laboratory efforts were observed and approved by inspectors from the Office of Statewide Health Planning and Development (OSHPD), the agency that ensures safe healthcare facilities. — Dennis P. Walden, P.E.